The major lsaw pipe equipment such as Plate Edge Milling Machine, Plate Edge Crimping Machine, Pipe Forming Press, Tack Welding Machine and Pipe Expander all adopt the technology and equipment of SMS MEER. The SMS MEER is the most famous special manufacturer to design and manufacture the whole production line equipment for LSAW pipe in the world . 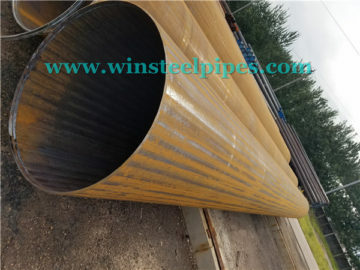 They have supplied all kinds of steel pipe manufacturing equipment for plenty of LSAW pipe manufacturers in the world and have got a very good reputation in this field. It is the equipment for processing the bevel angle on the edges of the material (steel plate) by aligning and feeding the material. The machine can carry out automatic plate centering. And the cutter heads have float copying function according to the waviness of the plate to ensure the two edges of the plate with the same welding chamfer and dimensions. In addition, the milling speed and amount for each milling can be adjusted automatically according to the steel grade, wall thickness and the welding bevel angle. The good coordination between cutter heads and the plate clamping carriage feed system ensures constant parameters in the whole milling process, thus the quality requirements of the milling can be met. The precision of the welding chamfer is a major precondition for the quality of the later weld. 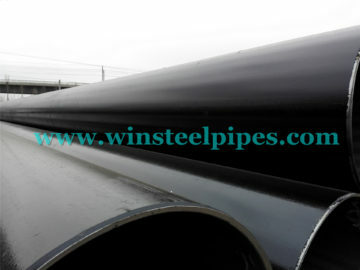 It is the equipment for bending the edges by aligning and feeding regular distance the material afterbeveling the edges. It is capable of adjusting the pitch. It’s an automatic hydraulic crimping press. The scientific design of die radius and transition ensures a complete edge bending deformation. 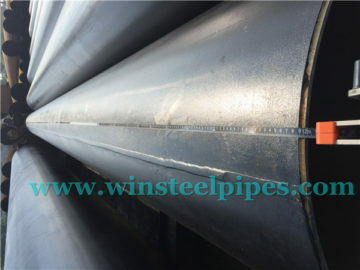 And press elongation will not occur during edges bending of heavy-wall-thickness plate. The bending shape produced on this machine is much better than the shape bent on the roller bending machine. 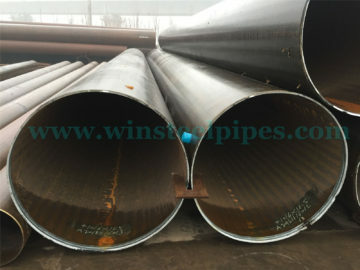 It provides good precondition for the later forming, welding and expanding processes. It’s an intelligentized hydraulic forming machine with CNC20 controller. During the forming, the movements of upper & lower beams and plate delivery manipulator are controlled by computer. The stroke of the upper & lower beam and press force as well as the plate feed can be adjusted automatically according to steel grade, plate wall thickness and plate width. The upper & lower beams have the function of the deformation compensation to avoid the negative effect on the forming process due to the upper & lower beam deformation. 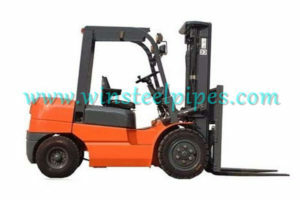 The straightness in the full length of the plate can be ensured during the forming process. 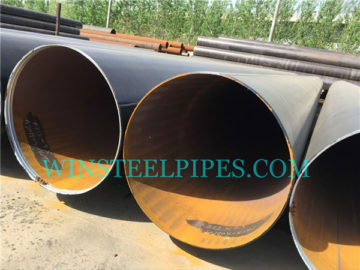 The forward length of each step is uniform so that the roundness and the welding edge parallelism can be ensured as well. It is the equipment for continuous tack welding. 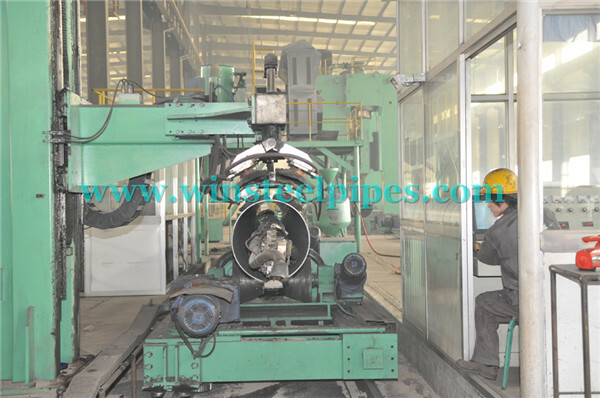 It puts together the edges of the opening area of the pipes formed in the forming press or GAP forming press. 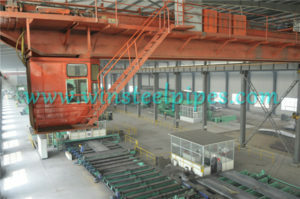 During tack welding, the open seam pipe is transported through stands designed as roller cage with eight rows of rollers. In this roller cage, the longitudinal edges of the open-seam pipes are positioned exactly parallel to one another and welded, the exact guidance prevents effectively from the edge offset and creates a uniform welding gap. The tack welding is performed using high power and continuous metal active-gas arc welding (MAG welding) which is traced by laser system. All welding equipment is imported from German U&S company. 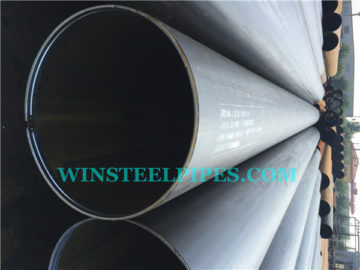 This company is a specialist manufacturer for LSAW pipe welding equipment with rich experience especially in the multi-electrode process. By using this welding machine, the quality of the welding can be ensured. 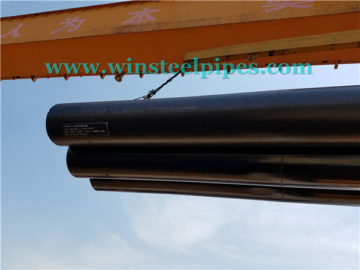 The main purpose of an advanced mechanical expander is to size and straighten the pipes and increase the dimension precision of the pipe as well as improve the residual stress distribution status. 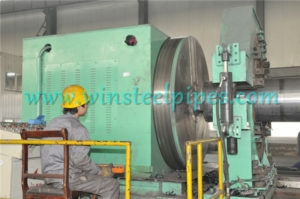 It is the equipment for processing the sections of the both ends of the bent, formed and welded pipe . It is the equipment for hydrostatic testing. 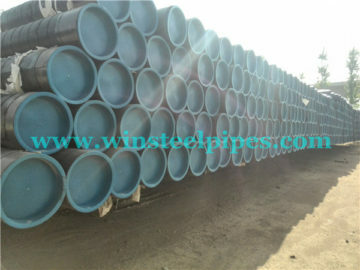 It fills the bent and welded pipe with water and consistently adds pressure into the pipe to test the pipe. 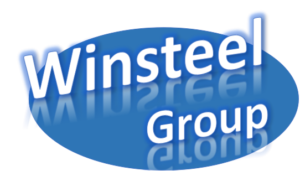 Winsteel Group is professional LSAW pipe manufacturer, and we have the whole set of equipment from producing process to shipping and loading. If you have any questions or want to learn more about our factory, please contact me.